Your experienced partner in delivering goods to your ships. 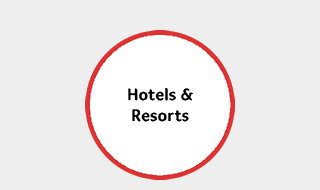 Specialized in providing a broad variety of food products for holiday destinations. Supplying ship suppliers with a large range of food products. Bringing high quality food to wherever you are. As a member of Transgourmet which is part of COOP Switzerland, one of Europe’s largest cash & carry and foodservice players, and a sales volume of more than 28 billion Swiss Francs, i.e. 29 billion USD. 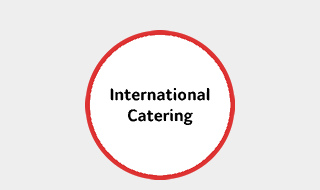 Within this huge operation Sump & Stammer International Food Supply is an independent legal entity and our teams are responsible for special markets, such as cruise lines, hotels and resorts, shipsuppliers and international caterers. While working with our experts you can rely on their excellent know-how. Our services reach destinations reliably all around the world. Customer satisfaction always goes first for everyone working with us. As a member of the Transgourmet family, we are the leader in the maritime foodservice industry and active in international markets. We are an international trading company, based in Hamburg. 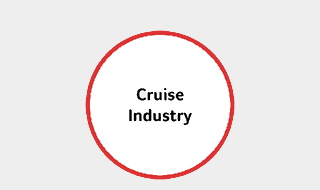 We are specialized in the worldwide distribution of a vast range of food products to the cruise industry, hotels and resorts, ship suppliers as well as catering companies. Since 2015 we are proud to be a part of Transgourmet, one of Europe’s largest cash & carry and wholesale supplies players. Founded in 1925, it’s important to us to combine our tradition and values with a modern and creative management approach. That’s how we make sure to provide our customers innovative and high quality goods and services at all times. It’s our goal to give you the best customer experience and make your processes easier by relying on our valuable experiences and services. WHATEVER FOOD & BEVERAGES YOU REQUIRE - WE MAKE IT HAPPEN. Benefit from our deep knowledge of the business and our dedicated individual service. We have the right food products combined with a customized logistic-solution for your needs. You want to offer your guests an unforgettable dining experience during their stay with you? We offer everything you need: High-quality food for à la carte restaurants as well as complete F&B solutions for all-inclusive services. We supply ship suppliers with anything they need to equip vessels for long-distance journeys. We make sure to provide the best food products at reasonable prices. Supplying to remote areas with food can be challenging. Working with us will make your process easier and more effective. Choose from our wide range of food and non-food products and let us handle logistics, importation and documentation. WHATEVER YOU NEED. CHOOSE FROM OUR BROAD RANGE OF PRODUCTS. TOOLS THAT MAKE YOUR EVERYDAY-WORK A BIT EASIER. about international holidays: Find some useful information below. Find all details on national bank holidays, fairs and other important dates for your work. Tracking your shipment to another continent? Check out local time, currency and other useful information here. We are proud to be a member of Transgourmet. Find all the details about the Group here. WE ARE HAPPY TO WORK WITH EXPERIENCED AND SPECIALIZED PARTNERS WORLDWIDE AND ARE ACTIVE MEMBERS OF VARIOUS INTERNATIONAL ASSOCIATIONS. LOOKING FOR NEW CHALLENGES? WORK WITH US! We are an international company offering our employees interesting and challenging tasks. While working with us you get the chance to work with international clients from all over the world and take part in ambitious projects. You will get the chance to develop your skills in an international company working with highly motivated colleagues. We are looking forward to your application!